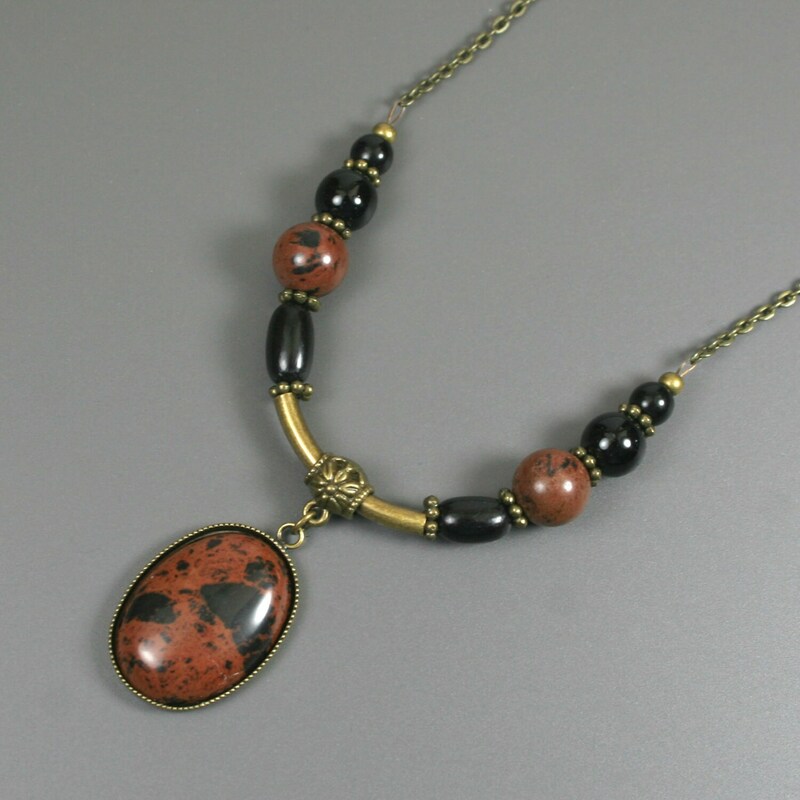 This mahogany obsidian cabochon is a 25 mm x 18 mm oval and is set in an antiqued brass bezel setting. 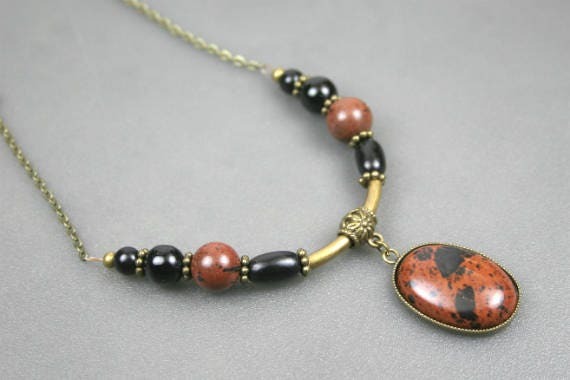 The pendant is attached to a curved antiqued brass tube bead with a decorative connector as is flanked on either side with black horn beads, mahogany obsidian beads, black obsidian beads, and antiqued brass spacers. 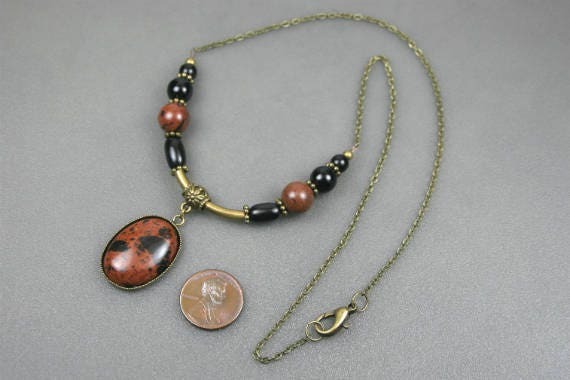 This decorative set of beads is attached to antiqued brass chain to complete the necklace. 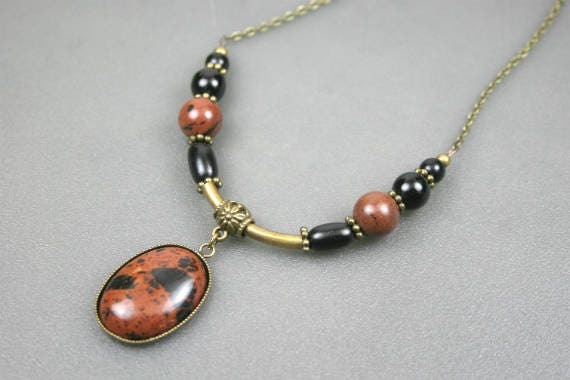 The necklace is approximately 19 inches in length and closes with a lobster clasp. Mahogany obsidian is a naturally occurring stone, so it patterning varies from specimen to specimen. 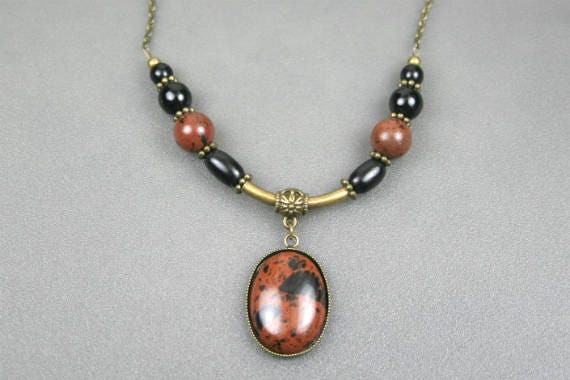 They are a deep mahogany color with black inclusions. 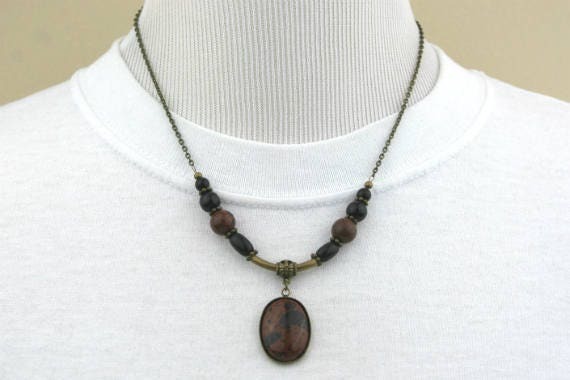 Mahogany obsidian is claimed to promote grounding, eliminate blockages, and provide protection.